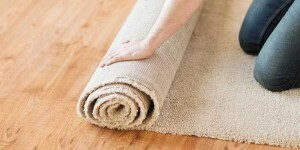 Squeaky Green Clean Brighton provides a wide variety of rug cleaning methods. We are expert in Persian Rug Cleaning, Anatolian Rug Cleaning, Turkish Rug Cleaning, Silk Rug Cleaning, Wool Rug Cleaning and much more. Squeaky Green Clean Rug Cleaning And Rug Laundry Brighton is the professional rug cleaning company in Brighton. We achieve stupendous cleaning results by ensuring that each and every phase of the cleaning process is carried out using the most gentle cleaning and drying techniques. We will never apply harsh chemicals to clean a rug. If you clean the rug with shampoo the dust turns to mud that sticks to the pile, it discolors the wool and it becomes difficult to remove. Our professional Rug Cleaning And Rug Laundry Brighton service has been developed to overcome all these troubles and turn out great results.